Fresh off his first season as a pro, Pat Murphy made the move up to single-A Greensboro. He'd been used mainly as a reliever at short-season Oneonta, getting two starts there over 25 outings. At Greensboro, it figured to be more of the same, according to The Greensboro News and Record. Morphy, The News and Record wrote to start that season, figured to be used as a spot starter, as well as in long relief. Greensboro went on to use Morphy as a starter four times that season over 43 total outings. He had a 4.00 ERA. 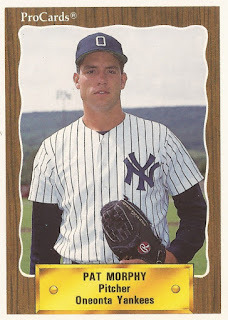 That was Morphy's second season as a pro. He got into just one more. 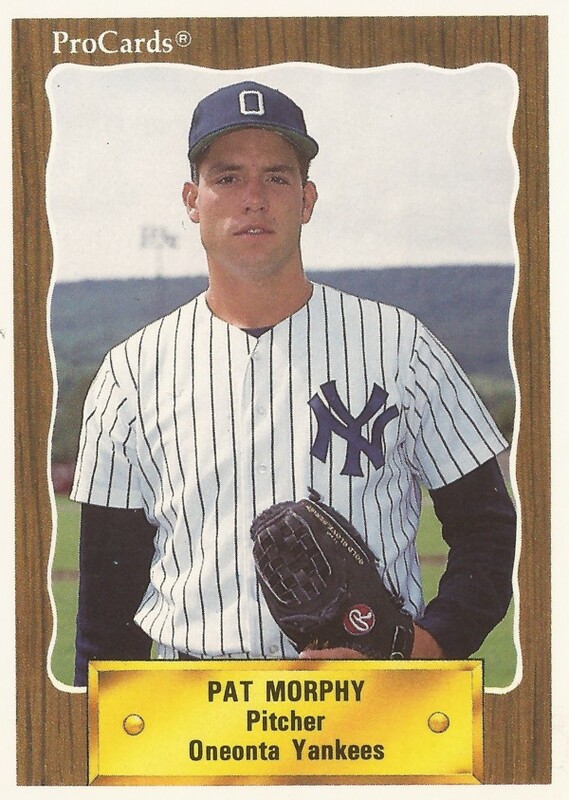 Morphy's career began in 1990, taken by the Yankees in the 34th round of the draft out of the University of Louisiana at Monroe. Morphy's first season at Oneonta saw him turn in a 3.02 ERA over 59.2 innings of work. He then moved to Greensboro for 1991. He went 4-8 largely in relief, picking up one save. He picked up his first relief loss of the year in May, giving up a deep-fly to the wall that plated the winning run. He gave up a run-scoring fielder's choice grounder after coming on in an August game. Morphy made high-A Fort Lauderdale in 1992. He got a win in relief in an August game, one of four relief wins he had on the year. Overall, he had a 2.64 ERA and four saves. It was his final season as a pro.